I do a second post for each set of months when I do these upcoming releases posts because there are always books I miss in the first one. Surprisingly, this time there are only three! Are there just not as many books published in January and February? Maybe it’s just coincidence that there aren’t that many books I’m interested in? At any rate, here are a few more books to add to your TBRs! Bang! Bang! BOOM! takes place in an alternate history version of 1933 America, where technology is booming and magic is a curiosity rather than an impossibility. In this action-packed romance follow the exploits of protagonists Jakub Danowicz and Cheshire Bloom: gangsters, gamblers, and lovers, who for years have fought alongside each other as members of New York’s Kozlow Gang. Jakub’s cunning and unyielding stoicism paired with Cheshire’s carefree spirit and explosive magical abilities have earned them widespread notoriety, but it’s only after Jakub convinces Cheshire to leave town with him for Chicago that their real adventure begins. Recommended for readers 17+ due to violent and suggestive content. I’ve been talking about this amazing webcomic/graphic novel for a long time now, and I have good news! You can now purchase print and digital copies of the first book in both the graphic novel series and the accompanying prequel novel series! You can even buy some goodies that were previously only available to Kickstarter backers. I read the first two books in this series some time ago and enjoyed all the supernaturals and darkness, so I’m looking forward to this one! Although I always read series in order, I’ve seen some other reviews mention that it also works well without the previous ones. 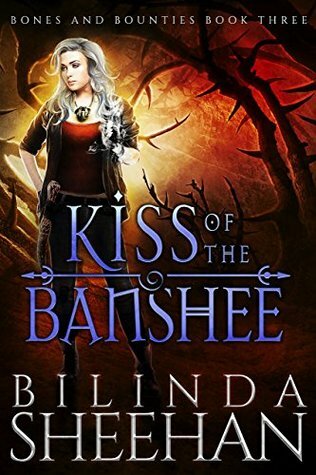 I’ve been enjoying this post-apoc urban fantasy series with faeries and other supernatural creatures, and this may have been the most intense and badass one yet! You know how the old stories go, “There once was an evil dragon and there was a knight. The knight fought and killed the dragon and the king rewarded the knight and then he got married to the princess.” I want to change all that. 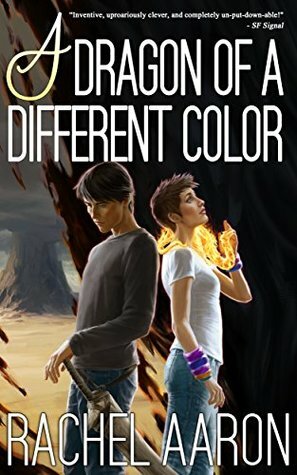 I’m Torrance, and I want to tell you about my book The Knight and the Dragon. I want to let the world know that people who are different from you are not bad people. You shouldn’t judge before you even get to know them. Bringing love to the world has been important. The knight doesn’t always have to get married to the princess. Love is meant for everyone. So I wrote a story for everyone, from little kids to adults because we all deserve love. I must admit I don’t read a ton of picture books, but this one looks absolutely adorable! I love that the creator is turning the knight/dragon/princess trope on its head and creating a new LGBT+ story about acceptance. Plus the art looks beautiful! The Low City is a fantasy, buddy cop, action-adventure that follows D.C., a veteran of the Patrol, and Kail, her naive intern, as they investigate the source of a mysterious new narcotic appearing in their city. This one just looks really fun with some fantastic comic-style art! If you like teenage angst, unsettling government organisations, being gay, committing crimes, and expressions that break every law of physics, you might like Inhibit! This one also looks like a lot of fun with lots of action-packed superhero stuff, teenage angst, and lively art! What January/February 2019 book releases are you looking forward to or have you already enjoyed? These all sound great, especially What Dawn Demands. I love the idea behind that picture book as well. We need more books with themes like that for all ages. The picture sounds soooo cute! And I agree! What Dawn Demands sounds really good. Also, yay for Kickstarters! I’m enjoying the series! It’s so fun finding Kickstarters, even if I don’t have the money to back most of them myself lol. LOVE the art in The Knight and the Dragon. I’m definitely heading over there to check that one out. What Dawn Demands sounds pretty awesome. And there’s so much great Kickstarter stuff out there now. I sometimes wish I had like thousands of dollars just to sink into some of these projects lol. I think the Low City looks promising! Seriously, if I had unlimited money, I’d spend so much on books and comics and art and games and Kickstarter projects. Hopefully, once I get settled in March I can look back and see all I missed and need to catch up on. I think this book came out last year, but I’m just now getting around to reading it. It’s called Echo Volume 4: The Last Edge of Darkness by Kent Wayne. It’s getting good so far. It’s about a planet like ours called Echo. A guy named Atriya who goes into the world of psychic magic. If you do read this, read the first three first.